How many egg recipes do you think you can come up with? When I think I can’t come up with another one, I discover yet one more recipe that calls for an egg. A foodie blogger friend, Patti over at PattyCakesPantry.com, and I went on an egg recipe binge. We had fun trying out different meals that included hard boiled eggs. Our husbands tolerated our meal experiments but didn’t think that it was so much fun as we did (though they did eat our creative egg dishes). Patti and I scheduled tasting meals and snacks, voting on our favorites. The favorites were published in an eBook, “Get Cracking! 30 Hard Boiled Egg Recipes” that is currently on sale for only 99 cents at Smashwords.com. 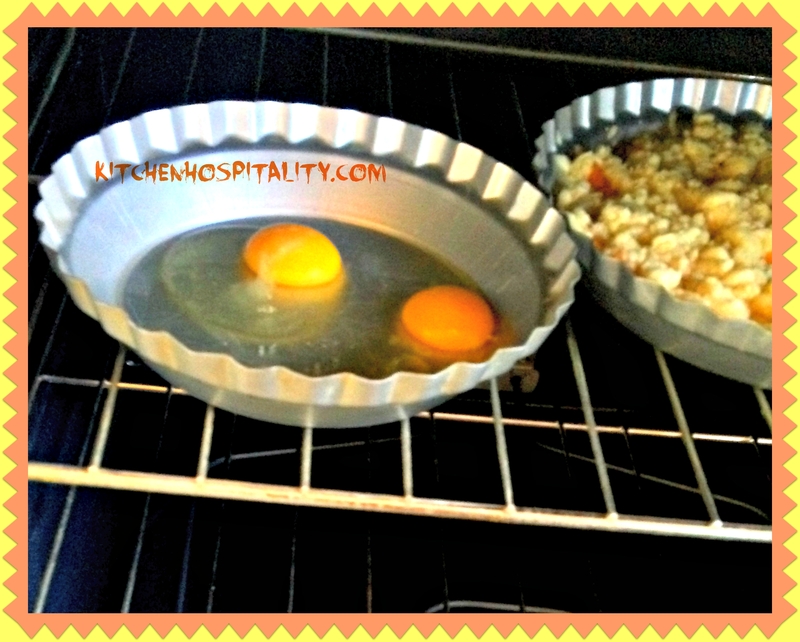 Placing the small fluted pan beside the larger one, I turned the oven light on to watch. I felt like a young girl learning how to cook. 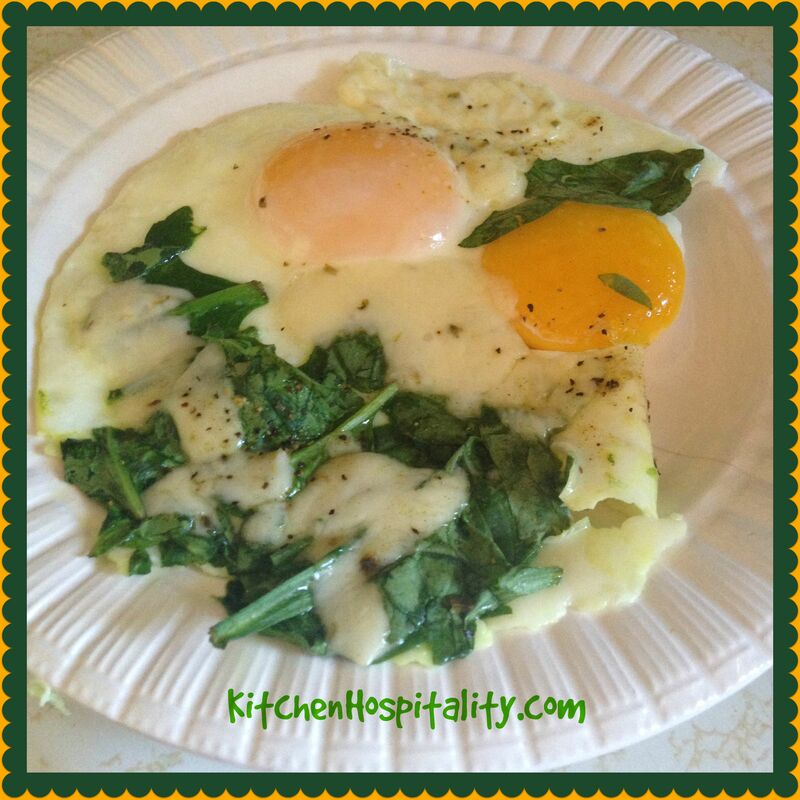 Then I chopped up some raw spinach, added it once the egg whites looked white and puffy, and topped the eggs and spinach with Pepper Jack Cheese. Sprinkling a generous amount of Cavender’s Greek seasoning (no salt at all) onto my beautiful Baked Eggs Florentine, I was ready for tasting. It looked all fancy and round, something you would see on an extravagant breakfast buffet. Nutritious, too. The results? Incredibly good! Will I bake eggs again for breakfast? Absolutely! 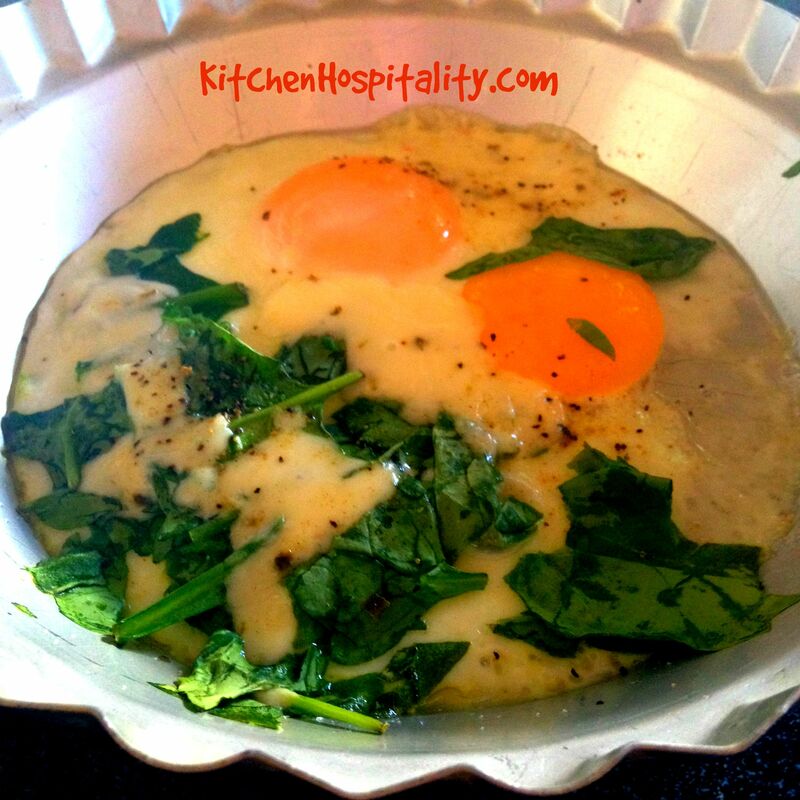 I love baked eggs and with the addition of spinach and jack cheese, these sound particularly good.